December 3rd is the 337th day of the year (338th day in leap years) in the Gregorian calendar. There are 28 days remaining until the end of the year. On this page, we have placed information about December 3rd, including famous people born on, historical events that occurred on, holidays and observances that fall on, and astrological connections of, this day. 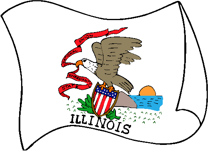 1818 Illinois admitted to the United States as 21st state. 1926 Agatha Christie disappears from her home. She is found dead 11 days later. 1947 Tennessee Williams' play, "A Streetcar Named Desire", opens on Broadway. 1971 Pakistan launches a pre-emptive strike against India, beginning the 1971 Indo-Pakistan War. 1973 The Pioneer 10 space probe sends back the first close-up pictures of Jupiter. 1979 Ayatollah Khomeini becomes Supreme Leader of Iran. 1984 A gas leak at a Union Carbide plant in Bhopal, India kills more than 3,800 people.